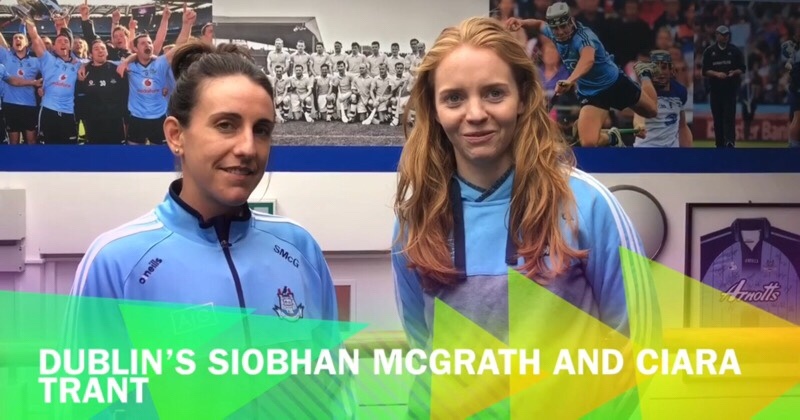 Dublin’s Sinead Finnegan and Niamh McEvoy expressed that the Dublin team are zoning in on a full 60 minute performance in tomorrow’s All Ireland Final. McEvoy said that the squad garnered a lot of confidence from winning last year’s All Ireland and it has really galvanised the group and they have really shown that in their performances this year. Sinead Finnegan stated that as a team you do your biggest learning when you lose and they have experienced three defeats in All Ireland Finals and that it’s certainly something they never want to experience again particularly after getting the feeling of what it’s like when you win. Finnegan had a tough start to the year with injury missing most of the league campaign, but she was back for the championship and she is delighted to be back fighting fit. Going into last year’s final she tore her calf the week before and Finnegan is delighted she is fully fit this year and doesn’t have that worry going into tomorrow’s final. Niamh McEvoy has been banging in the goals for Dublin this year, but the St Sylvesters player was reluctant to take credit for the glut of goals and stated she was just lucky to get on the end of some good moves. McEvoy went on to say that scoring was not something she focuses on and it’s all about doing the right thing for the team at a given moment in the game. Sinead Finnegan enthused about the atmosphere at last year’s final and how great it was to see the upper tier of the Cuasack Stand opened for the first time at a Ladies Final and she’s hoping it will be a similar attendance tomorrow. She finished by saying that the team are looking forward to putting on a performance and something for the players to look forward to and hopefully people come out to experience the sport.